Balm Balm's Little Miracle / Gee Whiskers! I have been a fan of Balm Balm's products for a few years now and written a few reviews already on their products (click here to read them). 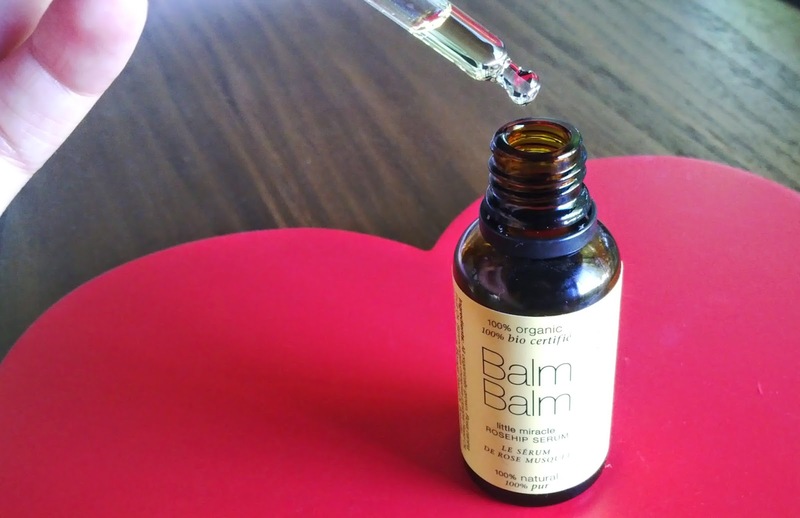 I was recently contacted and asked to choose a Balm Balm product to try out and immediately I thought of their Little Miracle Rosehip Serum (read my Wishing Wednesday post here). Balm Balm is certified organic and they do not test any of their products on animals. The thing that makes this serum such a "miracle" product is the fact that it is made up of carrier oils that are similar to the oils our skin naturally produces. This means that the serum is easily absorbed into the skin leaving you with beautifully moisturised and nourished skin that is not greasy nor oily. The serum is made up of a blend of rosehip, jojoba and borage oils and infused with frankincense, rose, geranium, juniper, palmarosa and mandarin essential oils. It sounds like a lot of ingredients but all of these have wonderful nourishing, healing and restoring properties that go to work on your skin from the very first use. I have been using the same facial products for a good few months now and only switched out my serum with this Little Miracle Rosehip Serum. In the time that I have been using it, I have noticed my skin is more hydrated, little marks are healing quicker and overall my skin just looks healthier. I find this serum also works well on treating little cuts and dehydrated areas of my body. I also like to add a drop to my foundation and BB Cream in the morning to help the products blend into my skin. I like products that are multi-purpose because it immediately becomes a product I reach to for all sorts of things. I only need 2 drops of the serum to cover my entire face and neck area so this bottle is going to last me a good while. PS. In order for a serum to work you have to incorporate an exfoliating product into your skin care routine. A serum is not able to penetrate a thick layer of dead skin cells and will simply sit on top of your skin, doing no good and leaving you with the impression that it is making your skin oily. If you exfoliate at least twice a week you will see that the serum is easily absorbed and your skin will not feel or look oily. PS. In order for a serum to work, you HAVE to exfoliate. If there is a dead layer of skin cells the serum will not be able to penetrate the outer layer of your skin and just sit on top of it - doing no good. Definitely need to give this a try..
Learning is the beginning of wealth. Learning is the beginning of health. Learning is the beginning of spirituality. Searching and learning is where the miracle process all begins. See the link below for more info.